This is ‘The’ cake I remember when growing up. It’s homely and comforting and zesty and orangey, a real delight which reminds me of my childhood. Plain and reliable. And I don’t mean that in a derogatory way! Try and have just one slice- you won’t be able to resist a second! Simply mix all the ingredients well together, place in an oiled Bunt pan and bake at 180deg.C (160deg.C Fan oven) for about 45 mins. Now, where’s the nutella? I have a feeling that would go really, really well……..
Oh gosh, why did you have to mention Nutella? That would be amazing slathered over a slice of this beautiful cake. It sounds delicious Anna. I love anything with orange in it, and chocolate and orange – mmmm! I love orange cakes Anna and this look delicious!! That just seems like a great cake! I have loads of oranges in the house…guess what i am making…might do an orange syrup too and with Nutella! OMG! What oil do you use? EmmCee, I just use flavourless vegetable oil, usually rapeseed. The orange syrup sounds delicious! Beautiful! These hand me down cakes are always the best and bring back so many fond memories. Happy Easter! Thank you for sharing your Mum's recipe, Anna :)I'm sure I'll try it soon. Great recipe!Happy Easter Day to you & your family!Kisses from Greece,dear! Yum, this sounds deliciousness. I went to my aunty's 80th on the weekend and she had old fashioned slices – they are the BEST! I'm so behind in my reading, Anna, but this looks delightful – so moist and SOOOO simple to make. I love that there's no special creaming of ingredients or 15 steps just to get it into the oven… And nutella really would pair nicely with orange, wouldn't it? Drooling. I love finding family recipes. They are always the best. And I adore a good orange cake. Thank you for sharing. I hope you are having a good Wednesday, and I hope the end of the week is even better. It's ages since I had an orange cake and this looks great. Better still, it sounds really easy. Orange cake is one of my favourites! Please call over to my blog I have something for you! love recipes like this, simple and packed with memories. I adore recipes like these. Things that are straight from your childhood! 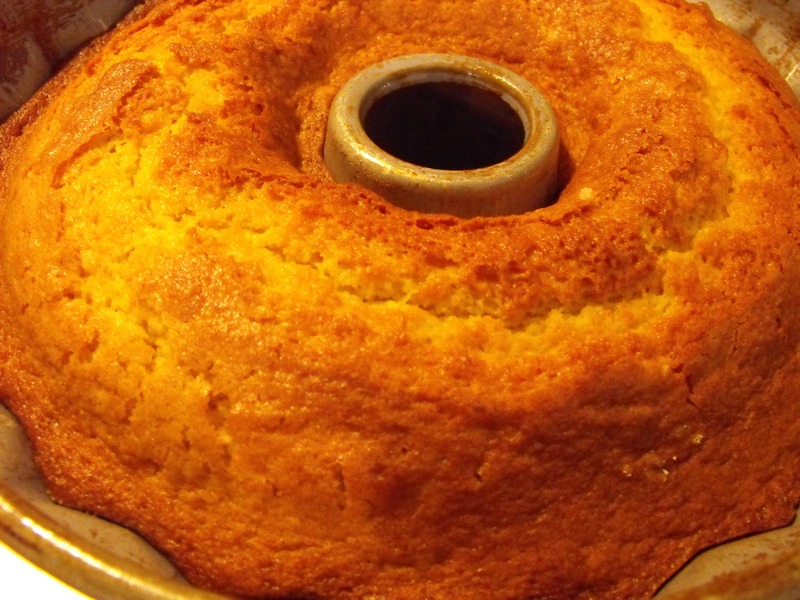 I love orange cake and this one looks so wonderfully moist! I love it's simplicity. Lovely cake, I will definitely try this out for my son.I liked your site and also wanted to add that the “About” section is wonderful- it is one of the best I have come across I love these cakes but you gotta eat ‘em right away. They’re not that great cold. have you tried making it in a bigger bowl do it serves more people? just wondering if it would work. I love this idea. One of my favorite cakes is a lemon pound cake, so this is a nice twist on a old favorite for me. I am Pinnning it immediately. I love orange taste in sweets! This cakes must be really aromatic! This cake looks like those perfect cakes we all seem to remember from growing up. Or maybe it is the cake we wish we could remember as it gives such a home-y feeling. These are my favorites kind if cakes. Love the picture and the fact that it made without butter! Hi Anna! I made this over the weekend after looking for an easy delicious cake to make for our breakfast and merenda (afternoon tea). 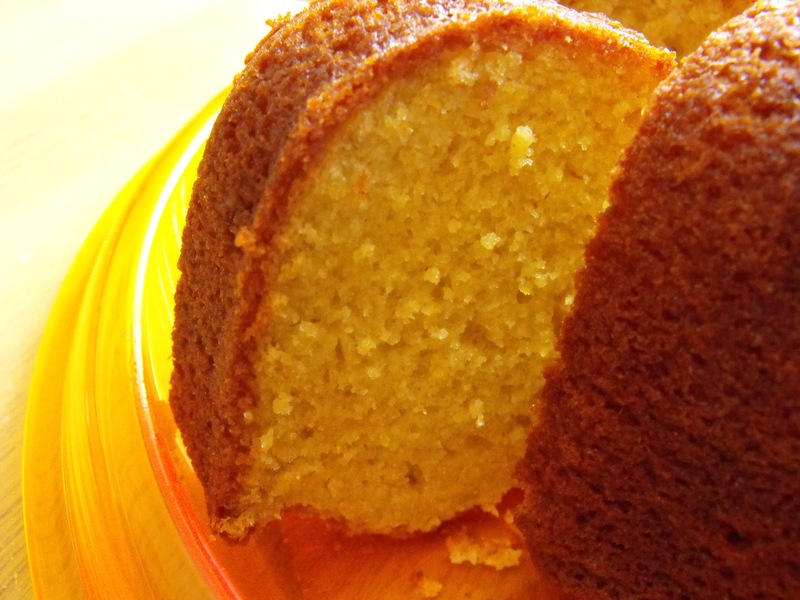 This turned out absolutely perfectly – moist, orangey and it doesn't need the nutella! It was stunning as is! Thank you for sharing the recipe! I look the love of that cake Anna – such a perfect one for summery days. I imagine lemon or lime would work just as well for that citrus hit. Hi Anna! Greetings from California. Your orange cake looks so delicious. I am imagining eating a slice with a hot cup of coffee. Does life get any better? Sounds delicious and what a lovely orange colour it has too – one for summer for sure. Or maybe one to lighten up those grey winter days.